During the period of ancient Greece, it was well understood that there could be great value in discourse. They saw this as a wonderful means to inquire into and reveal what had been hidden from one’s consciousness. It also leads to the making of discoveries for oneself. To the Greek philosophers this approach was vital to the understanding of important human issues including the development of greater consciousness. It is admittedly hard to just say why and how it can be helpful, because the best way to discover it is by doing it. I can say that many students have experienced the value of this technique. In fact, there is a program at California Institute of Integral Studies which has the aim of assisting the student to “engage in inquiry as an integral, spiritual, and transformative process of personal and social transformation.” It is a very effective approach, one favored by such teachers as Jiddu Krishnamurti. The nature of mind – Let’s take a look at one of the most important questions. What is the nature of our internal dialogue, all the thoughts that occupy our mind and which often seems to control us? And, where does all that internal talk come from? Why is it constantly going? Some have called this constant chatter as the ‘crew that never rests.’ Throughout millennia, human beings have struggled with these questions. In fact, the disciplines such as Zen Buddhism are so severe because without extreme measures, it seems impossible to reach states of steady internal silence. What meditators and psychologists alike have realized is that most of our internal talk actually arises from our unconscious and is formed from early childhood conditioning. This is the real challenge and what we must work on to achieve inner silence. This is also why the correct use of discourse can be helpful as part of one’s training as students may discover for themselves the answers to these and other important questions. How Language Affects Us – Another aspect to our classes and training includes the introduction of the idea that it is important to understand how we are affected by words and language. This is a study which has been neglected far too long. We will not be studying language itself, but how we are affected by our use of language. There are ways to learn how to use language in our communication with others that will change the way we live in the world and foster internal stillness as well as clear consciousness. Learning about the Process of Release – One of the first things we may discover is that the key element if our movement will be concerned with the importance of learning how to release all of the material that is in the way of our own discovery of our real inner nature, or as many have referred to is, our own enlightenment. 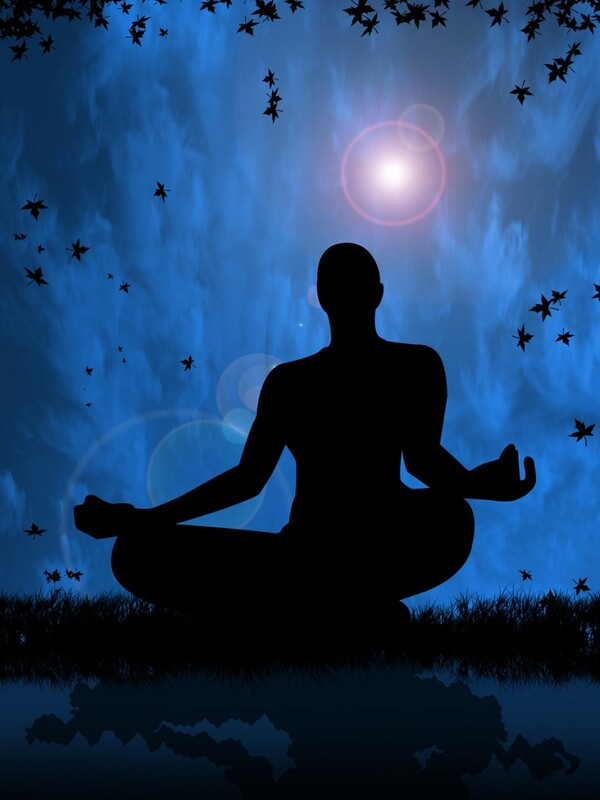 While meditation can be an aspect of this process, there is much more we can to accelerate the ‘release process.’ In astrology, this archetypal process is represented by Pluto as well as the other outer planets, Uranus and Neptune. We must learn from what we are releasing ourselves. This will include our personal discovery of what attachments and identifications really are, and not doing it in just a theoretical way. Are There Forces that Can Help Us? Why are meditation courses considered to be a part of a School of Astrology? One of the first experiences I ever had after studying astrology for only a year was that I felt that somehow astrology had assisted me to ‘touch the Divine order.’ This feeling has never left me. I knew from this that astrology could offer a person a magical experience. But, I also learned that what enabled me to have these experiences and understandings was that the studying of astrology was simultaneously teaching me how to contemplate. This ability enabled me to ‘feel’ the planetary energies in play in our lives and to assist others to experience them directly as well. In this way, astrology becomes one technique for achieving higher states of awareness. Another factor that underscores the importance of astrology in transformational growth is the deeper meaning of the outer planets, Uranus, Neptune and Pluto. One of the finest astrologers of the last century, Dane Rudhyar, regarded these forces as ‘transcendent planets.’ He saw them as doorways to ‘galactic consciousness,’ which gave them a purpose and value that can often go ignored by many astrologers. One example of this is the nature of the planet Uranus. It rules the principle of Individuality. When a person develops this aspect of their psyche, they move beyond the usual conforming forces of Saturn and being to create a true center within themselves, an integrated Self capable of both operating successfully in the world and also connecting with the divine. The uses of astrology with meditation/contemplation can evoke the ‘gathering together’ forces of ‘Logos’ that is a necessary part of the awakening process and enables us to activate one’s inner knowing. Finally, astrology can be seen as a wonderful tool for self-awareness. The study and applying of one’s birth chart can be used to help us discover many unknown aspects of our personality, but it also can simultaneously link one’s so-called ‘personal issues’ with universal principles that unite all of us as human beings who are connected to the stars.